The destination was promoted to 8,000 direct consumers and 850 travel agents were updated with the latest information at Arlam in Monterrey, Expo Viaja in Chihuahua and Ariag in Guadalajara. 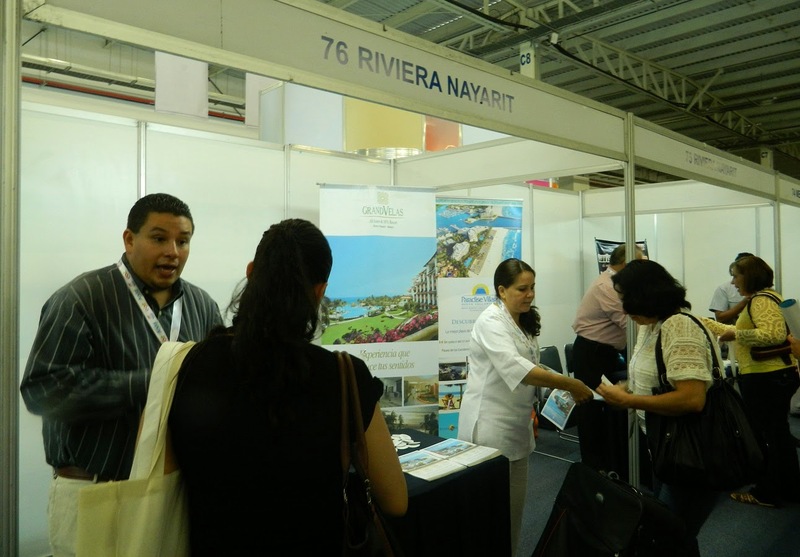 A very important component of the Riviera Nayarit Convention and Visitors Bureau’s (CVB) May domestic promotional tour was the participation of the destination in important tourism expos. These included the Asociación de Representantes de las Líneas Aéreas de Monterrey (Monterrey’s Association of Airlines Representatives, or Arlam by its acronym in Spanish), Guadalajara’s Arlag and Chihuahua’s Expo Viaja. The sum total of attendees at the three events was 8,000 direct consumers, with 850 travel agents from eight different states receiving updates. Arlam began on May 17-18, followed by Expo Viaja on the 24th and 25th, then Arlag on the 30th. Present at the expos were airlines, tourism destinations, hotel chains, cruise lines, wholesalers, rental agents, tourism publications, amusement parks and more. The events are open to the general public so travelers can pick and choose the services they might need for a trip. This is why the expos are held in the month of May, just before summer vacation. The CVB was present accompanied by a total of 12 hotels, seven of which attended Arlam and six went to Expo Viaja. The entire team from the Riviera Nayarit participated in Arlag. The hotels offered special vacation packages both in Monterrey and Chihuahua to get the attending public excited about purchasing their next vacations right on the spot. In Guadalajara they distributed promotional material from their hotels to the attending travel agents. The Riviera Nayarit CVB searched out potential domestic tourists in the hopes they will decide to visit Mexico’s Pacific Treasure and enjoy its spectacular hotels. They also worked to update domestic travel agents with new details and information on the destinations.